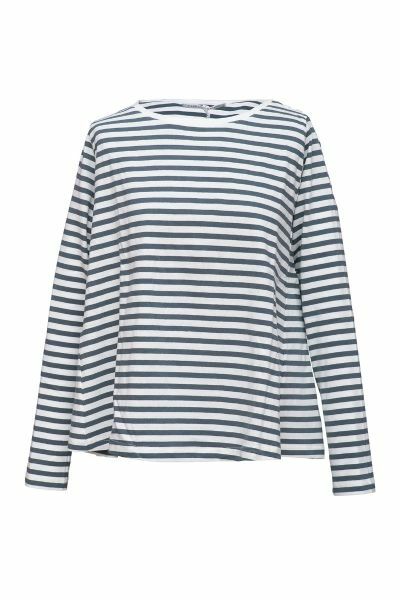 In a glorious teal and ivory stripe, the Cabbages & Roses' Emma top is a perfect layerign companion for a winter wardrobe. Made for all shapes and sizes, it has fitted shoulders to flatter you and also fit under jumpers, jackets and coats. Machine wash in warm water. Do not soak. Do not use biological detergents. Do not bleach. Do not tumble dry. Dry flat. Warm iron on reverse side if necessary. Wash with similar colours. Do not dry clean.